Patti Andrasak is a SARA Teacher in Dutchess County, New York. She spends her extra time volunteering at the the Catskill Animal Sanctuary, a non-profit rescue organization for abused, neglected, and abandoned farm animals, where she loves sharing Reiki with the animals. She loves sharing her experience to educate people about Reiki and how animals can benefit from it. 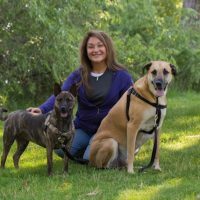 Patti is a student of Kathleen Prasad and is a certified Animal Reiki Teacher, teaching and practicing Reiki with animals and people. She is also a business owner, offering Reiki certification classes, in-person, as well as distant Reiki healing sessions for animals and their people. 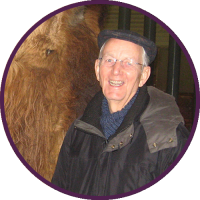 Patti has always felt a special connection with animals and discovered through Kathleen’s teachings, and allowing the “animals to lead” their session, deeper “heartfelt” connections are made, and greater healing can take place. 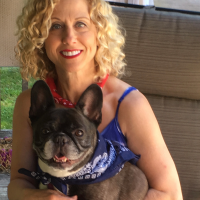 Patti lives in the beautiful Hudson River Valley with her husband, Mike, and their awesome dog, Jasmine. 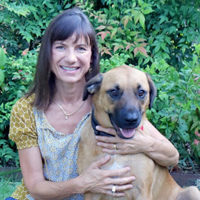 She has experience with dogs, cats, horses, birds, farm animals, deer, and other wild animals.